Classic Industries offers a wide selection of Steering Components for your Chevrolet Camaro. Classic Industries offers Center Drag Link, Idler Arms, King Pin Sets & Parts, Pitman Arms, Power Steering System, Rack & Pinion, Steering Arms, Steering Box Components, Steering Stabilizer, Tie Rod & Sleeves, and Wheel Bearings & Seals. 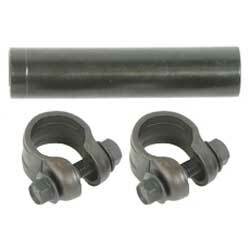 1970-81 Heavy Duty Tie Rod Sleeves 11/16" X 3-1/2"
1967-74 Heavy Duty Tie Rod Sleeves 5/8" X 4-7/8"
Is your steering loose or front end out of alignment? Parts in your steering system may be worn out or damaged. Now you can rebuild your steering linkage system with this original GM part. Narrowed Outer Tie Rod End for use with 1967-1969 Camaro using narrowed control arms. Sold each; 2 required per vehicle. Made proudly in the USA. NOTE: For use with HS3112, HS3012, OR HS3114, narrowed control arms. Original GM tie rod end dust boots for 1993-02 models. 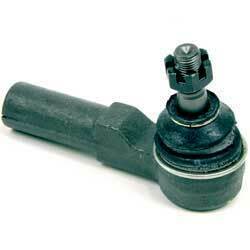 Tie rod end dust boots should be replaced when changing the tie rods. 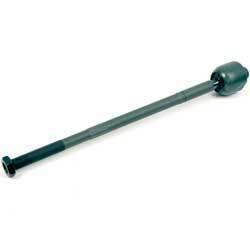 These quality reproductions will replace the outer tie rod ends exactly as original. For use with OE style suspensions. Each application will fit RH or LH unless otherwise indicated. 1978-92 GM Heavy Duty Tie Rod Sleeves 5/8" X 3-3/8"